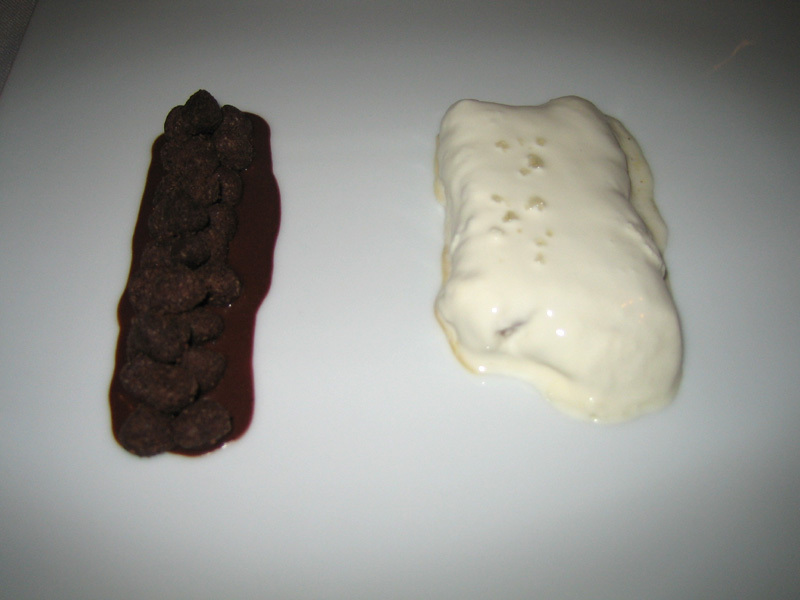 My last Mugaritz meal proved to be one of invention, creativity, and uniqueness. Despite a month-long trip through the Gagnaire’s, El Bulli’s, and Can Roca‘s last year; Chef Andoni Aduriz served us some of the more memorable dishes of our trip. The meal wasn’t perfect but the ideas were captivating and fresh. Where El Bulli clinically ran through twenty-plus concepts, Mugaritz paused and pondered. There was a great cerebral touch to the evening. This meal was better. The last meal was marred by a few conceptual and cooking mistakes, whereas this meal flowed perfectly from beginning to end. The summer bounty of the Basque county-side was in full display, most dishes flooding with greens or flowers. 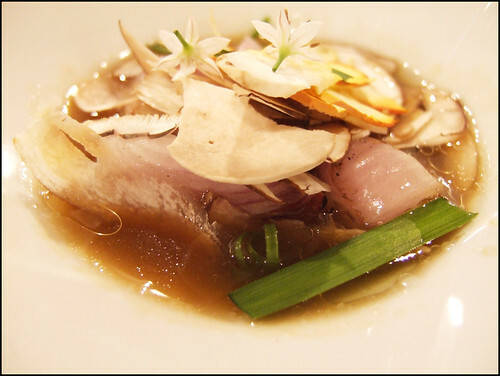 The infusions and broths, a divisive line with the restaurant’s critics, were exquisite. The avant-garde techniques used are a means to an end – tasting the last weeks of the summer. A great restaurant operating near its grand potential. It looked like a piece of toro nigiri – a work of art. The pepper had a strong roasted flavor that was upfront and bounced in the mouth for awhile. The ham, provenance unknown, was quite fatty with a hint of sweetness. Its flavor added a small dimension to the pepper but I suspect its slight miry texture was its raison d’etre. Very Good. It was clear greens and flowers might play a starring role in the meal. 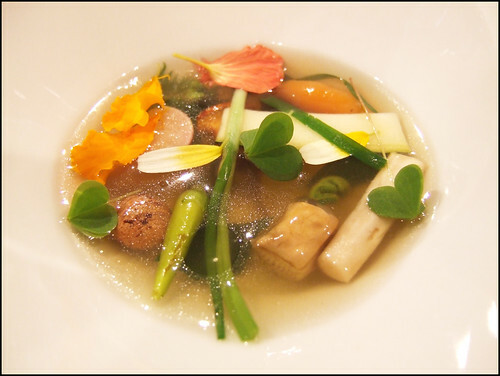 The shrimp broth was quite refined, an essence, whose saltiness brightened the vegetables. Very Good. 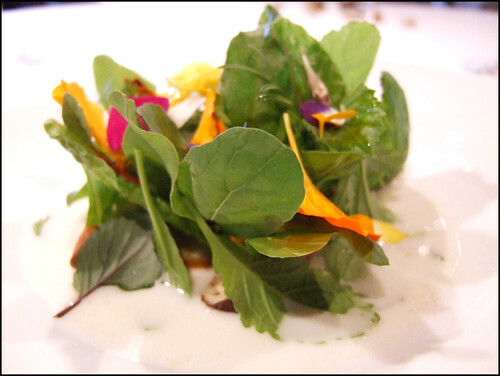 And here it was – the infamous Mugaritz salad that Gastroville ranked higher than the Michel Bras Gargouillo. The emmanthal cheese broth provided a backbone, or “unifying factor”, to the dish but the vegetables, while very good, were not in the same league as Bras. At Bras, the perfume of the vegetables permeated the entire dining room; here, they barely lifted off of the plate. Very Good. 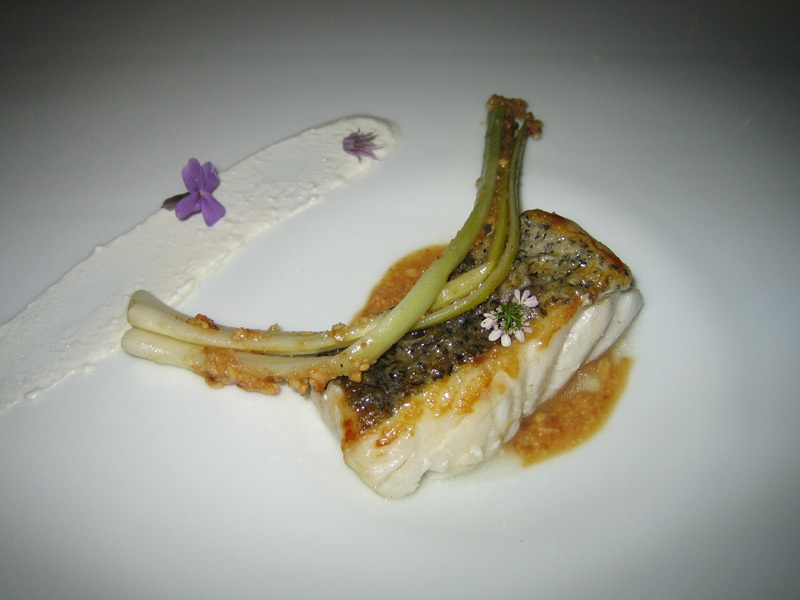 A tender, silky piece of fish that could have been cooked in the kitchens of Pierre Gagnaire. The very mild nuttiness of the sesame seeds and their broth provided additional structure but I wonder if a third element was necessary to bind it all together? Regardless, the strength of this dish lies in the fish quality and its preparation. Very Good. 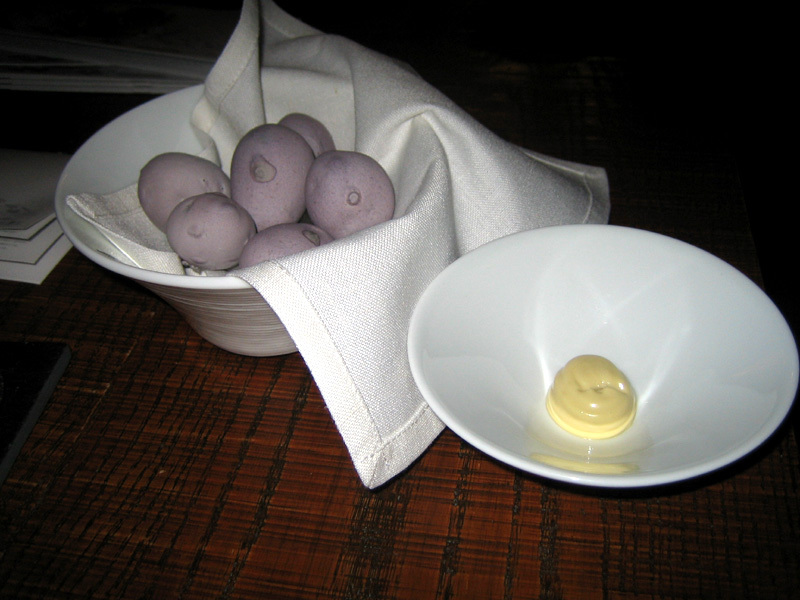 A variation of two dishes from the last meal: the purple space potatoes and the no-sweet honey. 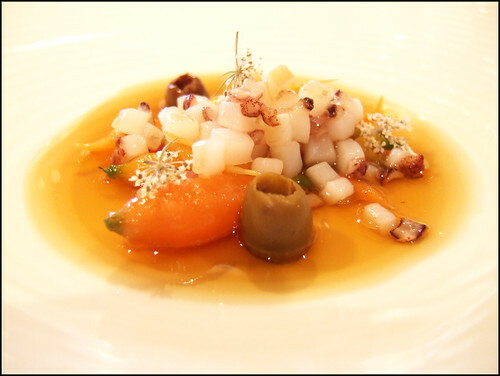 The carrots, earth creatures, cooked in their surroundings with a reduced squid and olive broth that provided a caramelized sweetness. The carrot itself was not of L’Arpege quality but it had a subtle earthiness to it. The diced squid offered an interesting textural component. Very Good. Each gnocci is adorned with a different flower or herb and it helped brighten the salty pork body. 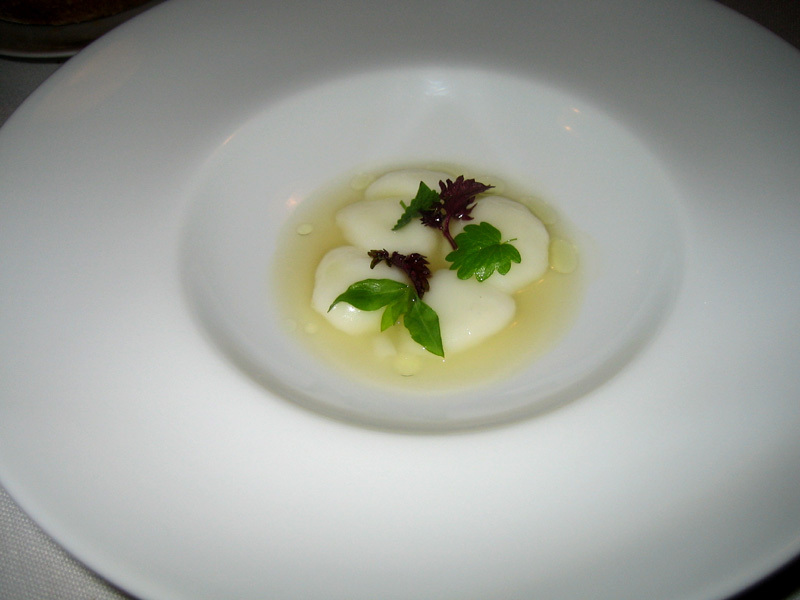 The gnocci are light and ephemeral but hint at a gelatinous and creamy textures . Very Good. A heavier dish of textures. The crisp, sweet onions dominated the flavor. 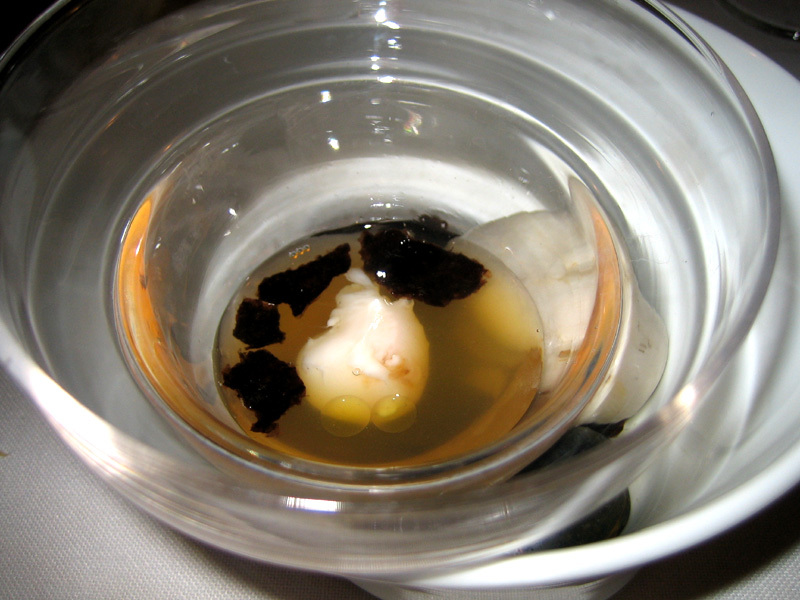 The bone marrow added a gelatinous texture that Aduriz seems to love so much; it also provided a (obvious) richness. Raw ceps lent an earthiness and a more compliant crunch. Very Good. The nicely cooked hake and praline complement each other well. The garlic cream, oft criticized by others, is too pungent and lasted far too long in the mouth. It’s recommended to bypass the cream on the side. Good. A nice hunk of rare gamey beef. Spanish beef has a different taste from corn- or grass-fed beef but I can’t identify the difference. The beef was so black that one wonders if Aduriz imparted some of his black coal tricks on the beef to darken it. Very Good. Braised and gelatinous, generally not my favorites, but this dish had enough crunch to keep me interested. The pork and langoustine, despite being a flawed specimen (mushy), complemented each other well. 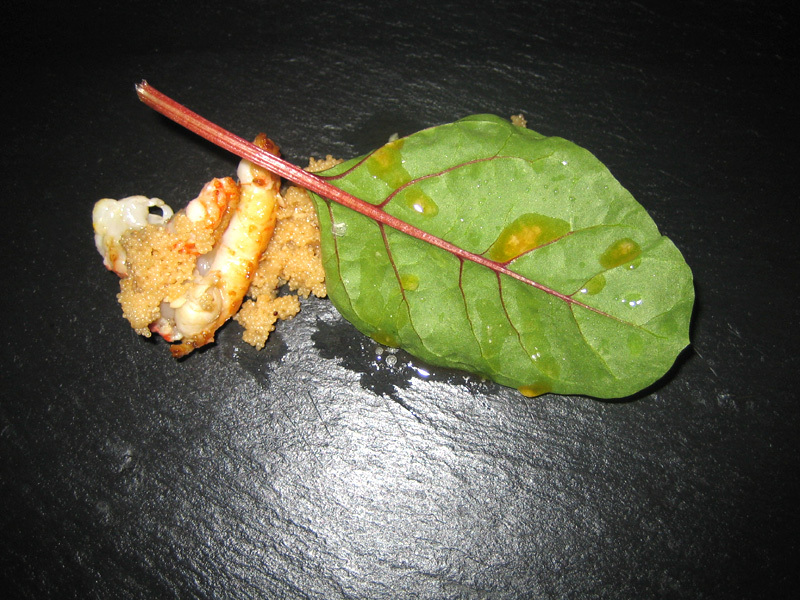 A Very Good if the langoustine was of higher quality. Good. Dessert time at Mugaritz is unlike any other restaurant – the desserts can be as memorable, if not more so, than the main courses. This year’s violet ice cream was astounding. An intense violet flavor, creamy as can be. Excellent. 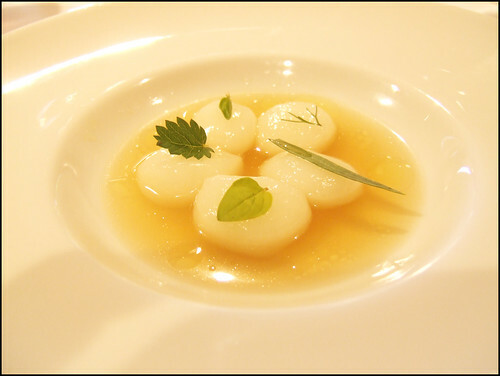 My Michelin 3 star dining experience is still developing but a few different lineages poke out in the cooking: a Japanese aesthetic for meditative qualities; an El Bulli approach to risk and concept; and a Michel Bras enthusiasm for nature. This meal felt more confident and mature; less abrupt and more harmonious. It actually reminded me quite a bit of a Manresa meal – at this point in time, they could be trans-atlantic cousins. My only gripe, denying this meal a place in the A1 Best Meals category, is the continued use of infusions throughout the meal. While I enjoyed all of them, it does get slightly monotonous. 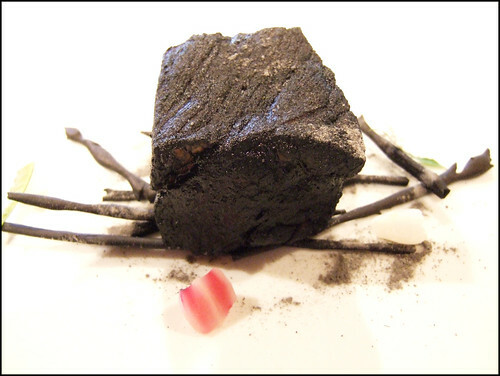 Reservation Tip – Mugaritz will prepare a tasting menu of any dish they’ve ever created if you give them fair warning. Obviously, seasons will play a role in the availability and quality of dishes, but if you see a dish you must have, ask for it when you make a reservation. 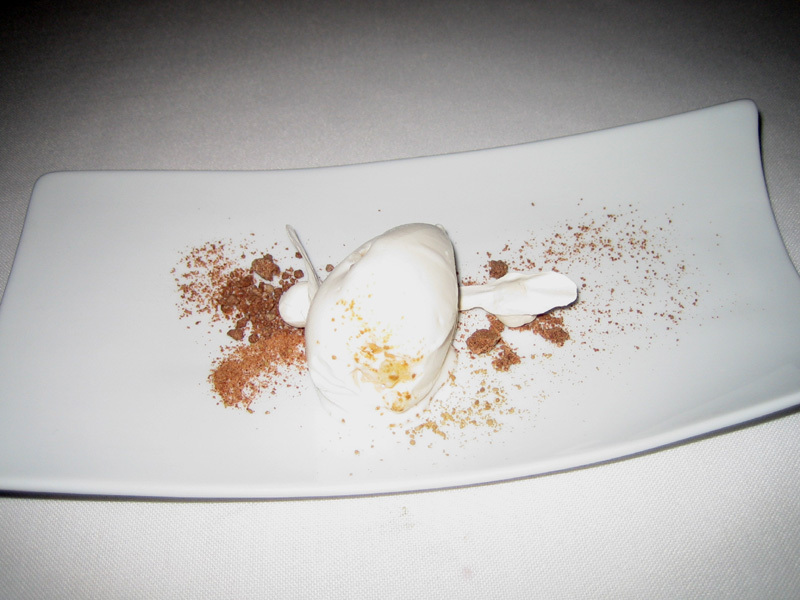 Upon reading the various reviews, I thought Mugaritz would be some sort of haute fusion – spices, infusions, etc. but our meal had none of it. Some respected diners have described the chef as a one-trick pony but our meal had a very wide range of technique. all of it completely unique. It’s a very “organic” meal that plays on the natural elements, not the periodic table of elements. Of all the places I have visited in the last month, Mugaritz the location has the most character. The lounge is perfect – sketches on the wall behind the many bird cages. It has a voice where the other 3-stars prefer modern gloss and cool. The restaurant itself has a minimal design, but like the lounge, it has a personality that falls somewhere between Spain and japan. We opted for the grand tasting menu. 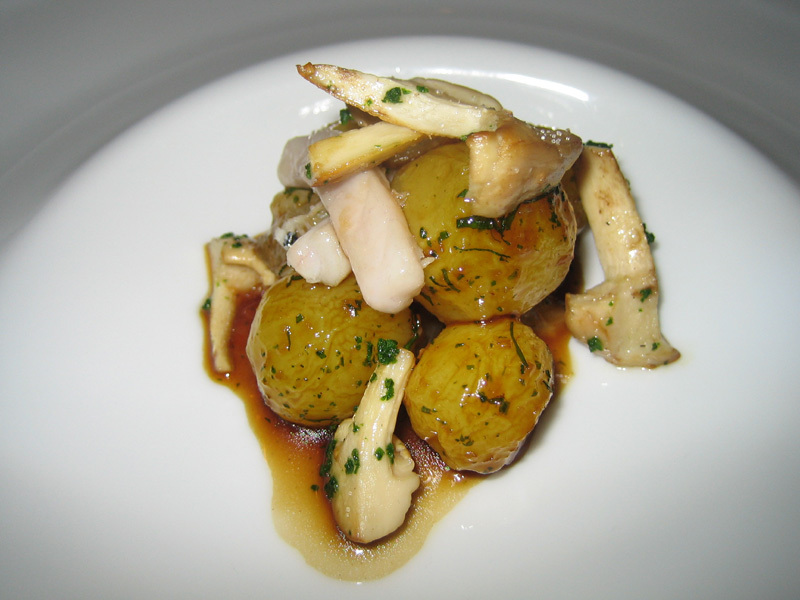 In the lounge, they served us an amuse of ceramic potatoes as we perused the menus. The potatoes were coated with a very thin layer of ceramic and served piping hot. The shell was crunchy and slightly chalky, and the potato slightly green. Was it a smashing success? No. Did it set the stage for paradigm-changing cuisine? Yes. Good. Satisfying texture of escargot but it lacked any significant taste. The garlic soup was a bit bland. My notes mention something about a “sea sac” but I don’t remember this component. Not Good. What a fascinating concept and dish. 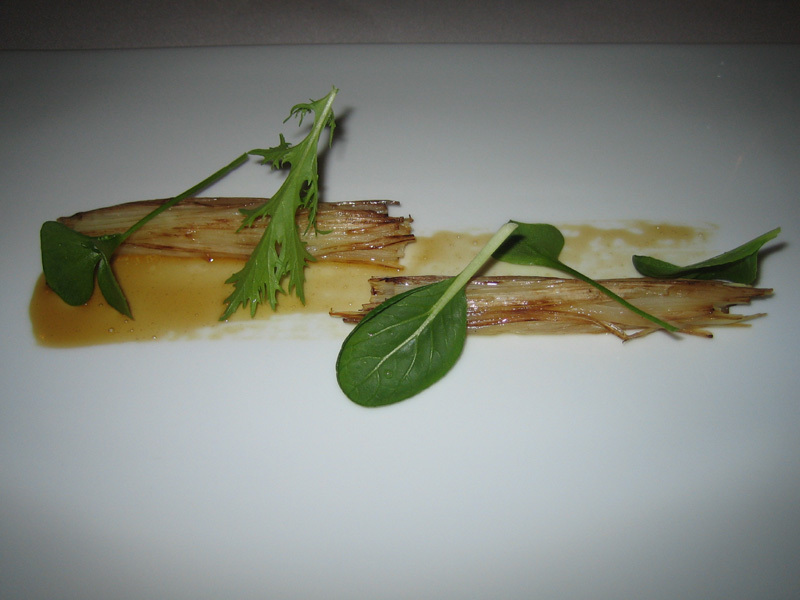 The asparagus was pared length-wise, the outside strips caramelized, and then the asaparagus was re-constructed. The outside strips were very crispy w/ a sweet caramelized taste while the inside strips were perfectly cooked. Excellent. The potatoes were hearty and heavy, but the fish (of toro quality) fat helped break up the starchiness in your mouth. The “zizas” were perfectly cooked and rounded out the earthiness of the potatoes. Very Good. Light and ephemeral sitting in an oyster-flavored sauce. The waiter described it was mozzerella but that could have been to ease the language barrier; a friend who just dined there reports they used idiazabal cheese. Very Good. Deconstructed roe, the amaranta served as a caviar that never burst with the sardine broth instead giving the dish its saltiness. Wonderful texture – each piece of the amarante just rolls around your mouth. The langostine was perfectly cooked. Excellent. And the surprises never end – the potatoes were covered in a most decadent egg yolk (look at that intense color) but the star of the dish was the vegetable “coal.” The outside of the yucca was as black and charred as coal visually (as you can see); it had a smoky flavor that lingered in your mouth. 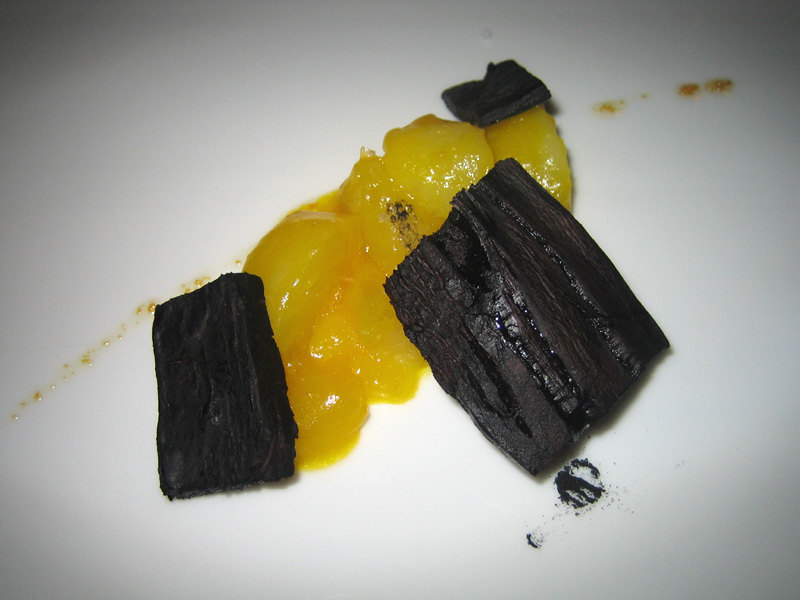 This effect was accomplished by cooking the yucca with a black bean and squid ink. A wild guess, but I presume this was influenced by “vegetal coal”. Excellent. This is almost universally acclaimed as Mugaritz’s best dishes but the texture was too spongy and the foie flavor was seriously lacking. The waiter explained later they sous-vided it for X many hours and then grilled it. The “honey” was extremely interesting – somehow, they sucked all of the sweetness out. A very strange experience as your brain expects sweetness. 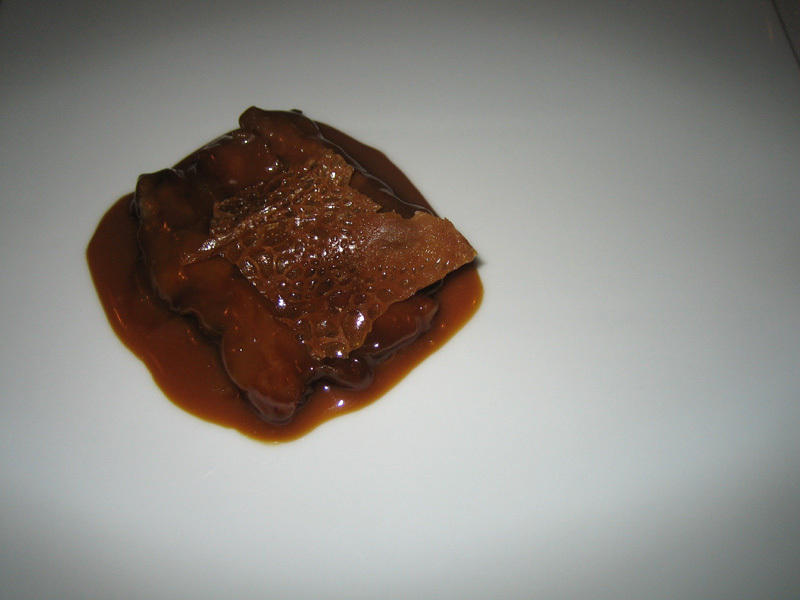 Of course, things are not always what they seem at Mugaritz – the honey is in fact a greatly reduced duck consumme. Not Good. The fish was cooked perfectly and it had a subtle nuttiness throughout. Upon biting, you’d get a hazelnut burst followed by the subtle nut taste. Very Good. 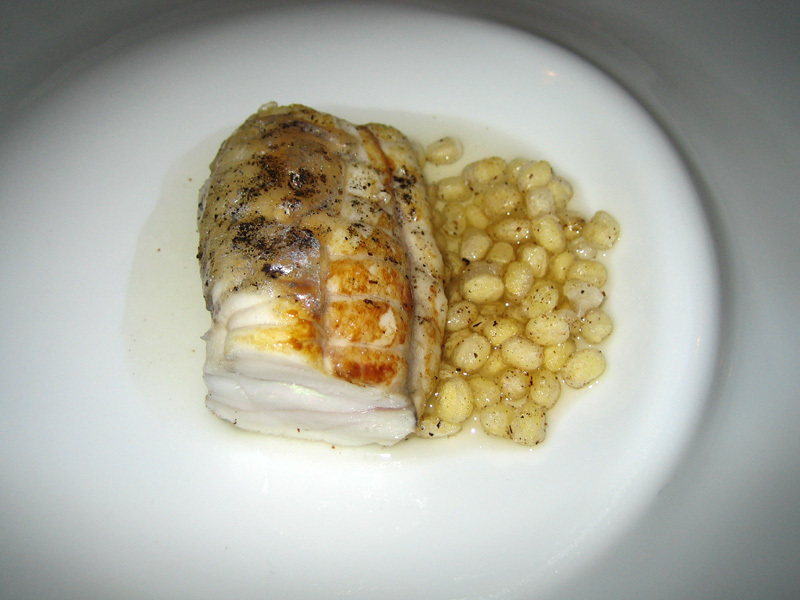 The skin was extremely gelatinous, the consumme overly salty, and the fish slightly overcooked (but within reason.) Not Good. This was too much for the “official” end of the meal – extremely gelatinous w/ nothing to break up the texture and taste. The toffee, like the honey, was savory and went perfectly well w/ the trotters – the dish just needed something to break up the monotony. Not Good. 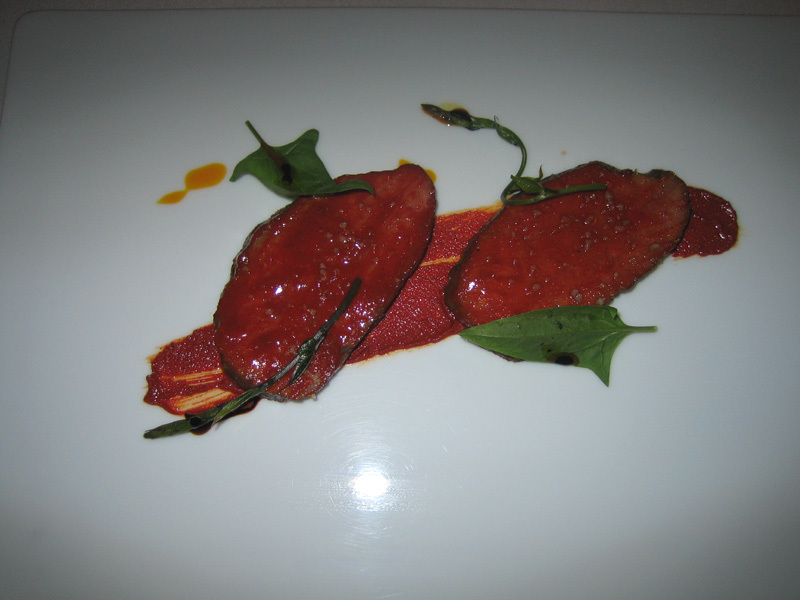 This was a make-up dish for the soggy foie gras but they should have kept it – terribly inconsistent. One piece was cooked well, the other dry; the rest of the table had worse luck. This dish, like the trotters, still suffered from a monotonous overkill. Not Good. Billed as a contrast of temperatures, textures, and cultures; this was good, but it was no Bastide. The violet ice cream tasted wonderful but its texture was a touch too icy. Good. Beautiful, subtle milk flavor. Heavenly. Excellent. Earthy, salty, slightly savory; the milk skin was tiramusu like where a cake was soaked in the chicory cream. Awesome. This was our make-up dessert for our make-up dish. The ice cream was incredibly rich – they used the eggs from the potatoe dish – Amazing. The french toast was extremely light w/ a crisp caramelized crust – this was creme burlee like. Each bite has the crunch of the crust, teeth sink into the light bread, and you’re rewarded w/ a touch of cream. Awesome. The desserts were also top-notch. Most desserts in restaurants are afterthoughts and highly disappointing; but Mugaritz’s endless parade of desserts got better and better, culminating w/ the french toast. Only WD-50 (NY) and Can Roca (Spain) have such a strong line-up of desserts. Is this the future of cuisine? Hard to say, but it is a chef with an utterly unique voice that I must hear again. Andoni Luis Aduriz enjoys an intimate relationship with his environment and manages to convey these Basque country landscapes in sensual and creative culinary delights. Delicate hints of fragrances, textures, and savours, leave room for individual interpretations … are you day-dreaming or is this for real? Mugaritz, meaning "oak border" in Basque, is the large tree proudly standing in front of the restaurant, like a flag announcing the eminent colours ahead: a vast, green, spreading pasture hidden in the mountains. A plant-filled haven perched on the top of the Errenteria mountain range, owes the emerald-shades to both the generous spring rains and abundant summer sun. 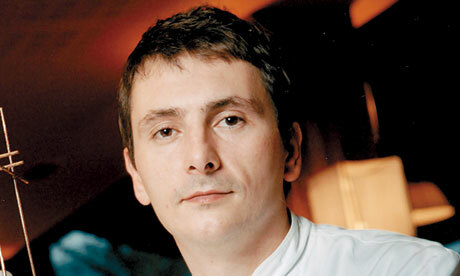 Andoni Luis Aduriz is the discreet chef in this small world. To cross this border with a fork in hand, without having first asked some questions, would be a serious mistake! You would, above all, be missing out on a unique experience. Andoni is not a big talker, but is a key player in the voluntary culinary path towards dishes ahead of his time, having managed to place man back into his natural environment. His cooking "talks" even less. Taste and savour the simplicity of these fresh almonds blended with Filipendula hay fragrances - a magnificent flower picked near the restaurant by the chef himself - is all part of his cuisine-related rituals. Mugaritz is definitely a border beyond which lies a totally unique culinary world. To enter and comprehend the originality of his cuisine, forget all your prior preconceptions. Get ready to play games with your tastebuds. Breathe in and inhale a dish decorated like a fragranced landscape. A rainbow of savours. Then turn your tongue three times in your mouth before tasting. Let yourself be surprised by the consistency, and the tiny shapes and sizes of a vegetable or seed. Just sit back and let your mouth participate in this necessary culinary revolution. Managing to do this already places you in the footsteps of a chef obliged to "unlearn" everything. "Taking classes with Ferran Adrià and Martin Berasategui is great, but it's impossible to create your own personal culinary style with such strong basics." In the end it took him two years of "relearning" in Andoni to find his own individual cooking style. He was inspired by an artistic concept which he fondly remembers … "It was at a tradeshow in Bilbao where works by Felix Gonzàles-Torres (among others) were being presented. It was a mountain of incredibly fragrant liquorice. An artist friend was invited to come taste one of the candies which created great frustration from the on-lookers who were allowed to smell, but not taste. Since then, I've tried to copy this idea by purposely hiding the taste to enhance the product fragrance and appearance." Comparable to an Indian who would cover his tracks, this chef plays with the codes, inverses tastes, mixes fragrances and invents new textures. It almost sounds like Andoni has returned to save the earth. Humus, clay, wood, plant essences, ashes, … his heart and soul become one with these natural elements. No poetic distraction or pastoral madness, but a mere conviction and commitment … his own personal successful ending. He expresses, in a somewhat surprised manner, "Commitment is the most essential value in the kitchen and it's a shame that no guides take this into account." As if distancing himself even more from his peers and to unlearn even more, he began to work intuitionally, moving blindly forward. Tending to rely more on his unconscious and always on his instinct, his approach often takes on windy analytical aspects. "The unconscious is more reasonable and reason is often less logical than one could think." He has also admitted not wanting to "feed stomachs" but more to "feed the minds." Is there anything spiritual in Andoni's cooking? No. Just simply his daily need to be moved or filled with wonder. This is why the plates served at Mugaritz are filled with the precise emotions felt by the chef surrounded by the wondrous landscapes, like the bracken picked just steps away from his restaurant and served on sheep milk cheese. Andoni really loves "his" plants. His favourite chef? Alain Passard. "He's the only person I know who can create a gourmet meal with a beetroot and salt … again, it's all a question of commitment." Becoming involved can be synonymous with having fun. How? By calling together, and organizing meetings between, worlds which have nothing in common. Gastronomy and cosmetics is an example. This resulted in a dish based on oak milk and rice, moulded into the shape of a bar of soap. It was then a question of making bubbles sufficiently stable to be served in the restaurant … Andoni worked for a year with an engineer to develop a machine capable of making bubbles which would not pop immediately. A flash-back to childhood? Perhaps, but also to feel closer to the earth and its elements, and this, while never leaving the kitchen. "At Mugaritz I'm the one who organizes, manages, and coordinates the teams. So when I finish cooking it's to do some real cooking for myself, at home, taking all the time I want." … by looking at things in a different way, like starting over a million times with an always promising future. A concentric path along which Andoni drops tiny chick peas from his pocket … Do you want to follow his trail? One of the world's top restaurants, Mugaritz, has been fined after animal rights campaigners targeted it for serving foie gras from force-fed ducks who were slowly bled to death after having corn rammed down their throats to bloat their livers. But Andoni Luis Aduriz said he was proud to pay the fine for buying from an unlicensed source as a way of showing support to local farmers who produce the best quality foie gras on smallholdings that cannot obtain licences. Sources at the restaurant said Aduriz bought his foie gras from Momotegi, a smallholder farm that used similar methods to those of larger producers with licences – and that the livers were tested by a private laboratory used by Mugaritz. But campaigners said Momotegi broke laws and inflicted cruel deaths on the animals. Aduriz denounced a wave of threats against himself and Momotegi's owner, Olga Posse, whose smallholding is close to the restaurant. Posse fled to nearby Galicia over the summer after receiving threats. "It is hard to debate with people who orchestrate a campaign that includes direct insults and wishing that I was dead," wrote in his blog. Aduriz is a former disciple of Ferran Adrìa of El Bulli restaurant fame and was voted the world's best by fellow chefs polled by Restaurant magazine last year. Earlier this year Posse was tricked by a group from the pro-vegan Animal Equality group into being interviewed for what she thought was a report by some journalism students on the problems of small farmers. In the film Granja Momotegi – Igualdad Animal on Vimeo, she admitted that local health authorities "turned a blind eye" to her farm. The film showed ducks being force-fed, which is legal, but also showed them being killed by having their throats slit with a knife without being stunned. They took several minutes to bleed to death. "Posse defended this cruel method claiming that it allowed her to produce livers with less blood in them," Animal Equality said. "They bleed differently," Posse told the camera, saying that her high-profile clients were proof that her method worked. "They don't want foie from anywhere else." Animal Equality, which seeks "equal consideration and respect" for animals and the abolition of what it calls "animal slavery", now targets Twitter users who mention they are going to Mugaritz. "Other establishments, including some with more Michelin stars than us, also used livers from the Momotegi farm," said Aduriz, whose restaurant is near Renteria, in Spain's northern Basque country. 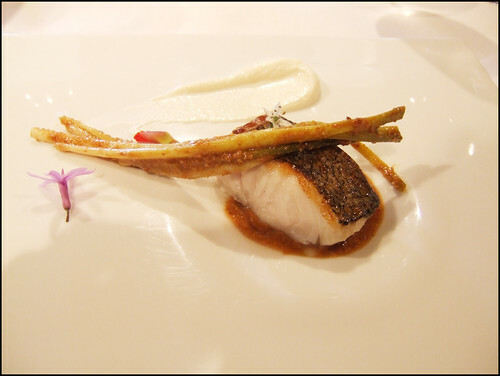 The Basque region has one of the highest concentrations of Michelin-starred restaurants in the world. They include Martin Berasategui and Arzak, though it was not clear if they were also Posse clients. "I am against any unjustified suffering inflicted on any living being, but I am just as much opposed to any obsessive humanisation of animals which tries to wipe out cultures that form part of our social and cultural diversity," Aduriz said. "A small administrative sanction is a sacrifice I am prepared to accept in order to defend smallholders, artisans and those people who try to maintain our fragile culinary patrimony," he said. Foie gras production is being targeted by animal rights campaigners around the globe. California has banned its sale, Italy's Coop supermarket chain stopped selling it in October and the British caterer Compass Group, supplier to Michelin-star restaurants, has dropped foie gras from its list. Foie fans argues that the "gavage" method of force-feeding with tubes has been used for more than two centuries and that ducks and geese have no gagging reflex so the process is not painful or disturbing to them. After a disappointing experience at Arzak, we feared that dinner the following evening at Mugaritz would again fall mournfully short of expectations. However as we stepped out of the taxi onto the tranquil verdant grounds, we instinctively knew this meal would be different. The two Michelin-starred restaurant made headlines last year when a kitchen fire forced it to shut for four months. Despite the blow, standards have held strong post-restoration; in fact Mugaritz managed to climb two places, from 5th to 3rd in this year’s World’s 50 Best Restaurant Awards. Situated at the border of Errenteria and Astigarraga (a 20-minute drive from central San Sebastián), the complex boasts a herb garden, an expansive kitchen that joins onto an equally spacious dining room, and a pretty leafy paved courtyard, where the host led us for pre-dinner drinks and nibbles. Having discovered the refreshing local aperitif Txakoli (a popular tipple in Pintxo bars) the day before, we ordered two glasses and sat back to admire the surrounding greenery and breathe in the sweet country air. The remote location is appropriately idyllic, a reflection of the emphasis on nature in Andoni Luis Aduriz’s ‘techno-emotional’ cuisine that utilises scientific techniques to accentuate, but not overshadow, each season’s bounty. After a brief chat to ascertain our dietary restrictions – “we eat everything” – we were presented with what appeared to be (and was described to us as) beer, olives and a few sprigs of thyme. It turned out that the beer was a warm earthy Toasted Legume Broth, and the olives were powdery soft Tapa Beans coated in a glossy Olive paste. Next came fragile sheets of Starch and Sugar Crystal, artfully painted with Pepper Praline and blobs of Spider Crab mousse. The savoury/sweet combination and crisp snap of sugar was a real delight. As the last shards melted on my tongue it started drizzling so we quickly downed our wine and dashed inside for the remainder of our courses. We took our seats and were handed two envelopes: ’150 min… submit!’ and ’150 min… to rebel!’ to choose between. I chose to rebel, excited to see if picking one over the other would alter my dining experience like the ‘choose your own adventure’ books I used to read as a child. It didn’t – each revealed a different card with words that are supposed to adjust your mindset for the food to come. Maybe I’m not enough of an intellectual, but it was all a bit confusing and anti-climatic. As I crunched into tempered White Asparagus stalks dusted with fragrant Chrysanthemum petals, enjoying their elegant simplicity, B set to work choosing a wine. He eventually settled on a Krug NV – champagne we find, is often a good foil for degustation menus, especially when the dishes within are varied and unknown. A small cluster of Tear Peas lightly-dressed with Mascarpone and topped with a nest of thin sorrel ribbons, was a grassier mouthful than expected – the tiny green jewels tasting intensely of pea shoots rather than sweet baby peas. Silky Bread Stew that followed was a sophisticated take on a local peasant dish. A bowlful of soothing clean flavours, the mild garlic soup was infused with Pink Geranium Leaves and crowned with beautiful soft strands of freshly-picked Crab meat. It would have been even better without the chunks of soggy bread, but I guess those are integral to the original dish. We were asked to decipher on our own a flower-adorned mess of brown wiry threads. We guessed Beef Cheek, but were informed that it was deep-fried shredded Beef Tongue, piled high on a dab of garlic and onion purée, and garnished with chive flowers. Tasty, and more dry than greasy – not disimilar to a good jerky. Mystery dish done, the plate was whisked away and replaced by a heavy mortar filled with spices and mixed seeds. We were instructed to work the pestle while our waiter fetched the other components to finish the dish. I obediently started grinding and was rewarded with the spicy aroma of pink peppercorn. Before my arm had time to tire he returned with fresh herbs and a clear fish broth, both of which promptly found their way into the mortar. We drank the delicious liquor straight from the mortar; the vibrant herbs (mint, lemon thyme, basil) really brought it alive and made it sing. B and I were divided on the Pork Noodles with “Arraitxiki” (a Basque sea bream) Extract and Toasted Rice. B thought the gummy ropes under-seasoned but I liked that the focus was on their unusual elastic texture. It reminded me of Chinese cold cuts, specifically pig’s ear, so wasn’t surprised to discover that the noodles were fashioned from slow-cooked Iberian pig skin. The Daily Catch of flaky local Rockfish was simply accented with shredded chard and a dot of Smoked Goat’s Milk Butter, letting the fish speak for itself. Another fish dish “Textures of Coastal Fish” comprised of a few more elements but was still incredibly simple conceptually. The plate showcases the Scorpion Fish with different parts of the fish prepared in a variety of ways – even the fins were fried and added for crunch. The most unique and memorable offering was the Sheets of “Entrecula” with Grilled Steak Emulsion and Salt. The cut that surrounds the the kidney toughens when cooked so can only be briefly seared, and the piece I got was perfectly executed – tender rare meat with wonderful robust beefy flavour. The emulsion (fat from the cartilage) added a smokiness and the box of sea salt, left for us to take away as a momento after seasoning was a thoughtful touch. Ossobucco with Toasted Lobster Emulsion featured soft gelatinous veal tendon in a rich shellfish oil. A nice play on surf and turf, but I imagine not everyone’s cup of tea. We were given a quick tour of the kitchen to meet the chef and see the brigade in action before being served the Quail Armagnac (an intense game consommé), intended as the prelude to sweets. We were then offered an extra course of either cheese or main, and we choose to stay on savoury as we still had some of the light spicy Dominio de Tares, Bem di Bre 2005 the sommelier poured for our meat course. I was mighty glad we forsook cheese when our bonus dish of Iberian Pork Tail with Crispy Leaves and Toasted Sweet Millet Oil arrived. The tail had been boned and flattened, and the skin roasted till crisp, yet still moist and slightly sticky. 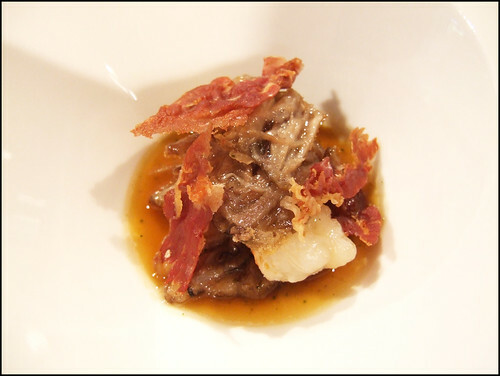 The sauce was deep concentrated pork broth that seasoned both the meat and the cornflake-like barley cracker “leaves” -porky heaven. The kitchen’s creativity really came to the fore with desserts. The first, a palate cleansing Lemon Cream with Daikon Radish and Unsweetened Sugar (kaolin) sounds strange on paper but worked exceedingly well – the mild vegetable coming together harmoniously with the gently acidic frozen cream. 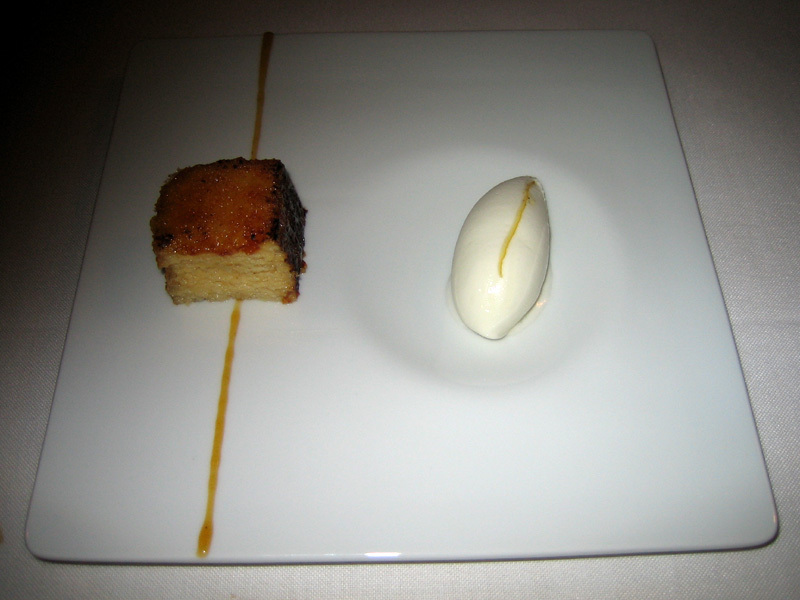 Cool Vanilla Brioche (brioche-infused snow) and Toasted Cream was equally innovative and refreshing. Most fun presentation-wise was the Broken Walnuts, toasted and salted with Cool Milk Cream and Armagnac Jelly. The chocolate walnut shells cracked open to reveal amber-hued Armagnac jelly which was a perfect sweet boozy foil to the goat’s cheese and milk ice cream. It was a great combination of flavours that was well-complemented by the thick toffee and caramel notes of the Fernando de Castilla Pedro Ximenez chosen for us by the sommelier. Contently full I ordered a pot of gyokuro and sipped on the lukewarm brew while B sunk into the extensive digestifs menu with Nicolas, the sommelier (a lovely Frenchman who has previously held stints at Fat Duck and Vineyard at Stockcross), ordering first a Michel Couvreur whisky, then a 10-year old Clément Rum from Martinique. Service was polished but completely unstuffy – the host of smiling waiters that looked after us were warm, amiable and knowledgeable. As was Nicolas, whose attentiveness puts the sommelier at Arzak to shame (the latter’s contribution to our meal was so negligible I failed to even mention him in the review). An unforgettable meal with consistently excellent dishes that were restrained, refined and clever in both taste and concept. It’s a great reminder that when it comes to good produce, there really is no need to gild the lily. Mugaritz easily ranks amongst the best restaurants we’ve ever dined at and I hope to return very soon. Yesterday news broke that the Basque government, amid pressures from an animal rights group, had sanctioned the restaurant Mugaritz and its foie purveyor, the small, family-owned Momotegi. Today, Andoni Luis Aduriz breaks his silence and publishes a petition in support of small producers. The document has already received over 500 signatures, including those of chefs Joan Roca, Juan-Mari and Elena Arzak, and Ferran Adrià. 1. We demand laws that protect small, artisanal producers (as is the case in other countries around the world). These laws should also regulate means of production observing that excellence should be a goal. 2. We call on the government to conceive laws that emphasize sanitary production, the health of animals, and concerns for the environment, culture, and society. 3. We show our support for the restaurant Mugaritz. We share its standards for quality and its appreciation for the excellence of small producers. We support a model that understands food as an expression of culture. 4. We denounce the coercive methods animal rights organizations use in order to achieve their goals. Their ideas and objectives, as legitimate as they may be, cannot be sustained by campaigns based on discrediting others and manipulating images. To us, that's unacceptable, immoral, and unjust. This is The Gatekeepers, in which Eater roams the world meeting the fine ladies and gentlemen that stand between you and some of the restaurant world's hottest tables. Elisabeth Iglesias runs the dining room at Mugaritz, the two-star-Michelin restaurant in the bucolic countryside of Errenteria, Spain, just outside the city of San Sebastian. She got involved with the restaurant in 2001, when she was a college student in need of a weekend gig, but quickly realized that it wasn't going to be a temporary thing. "It was going to be my way of life," she says. You'll hear many stories like that from people who've worked at chef Andoni Luis Aduriz's restaurant, a place that seems to make its employees feel part of a family and an essential part of an important, evolving project. In the following interview, Iglesias talks about dealing with an empty dining room in her early days at the restaurant, what it's like to work for Aduriz, pleasing customers who may want something more traditional from the kitchen, and requests that she hasn't been able to accommodate. How and when did you start working at Mugaritz? I started working here in 2001. I was looking for a job I could do on the weekends, while I finished up in college. 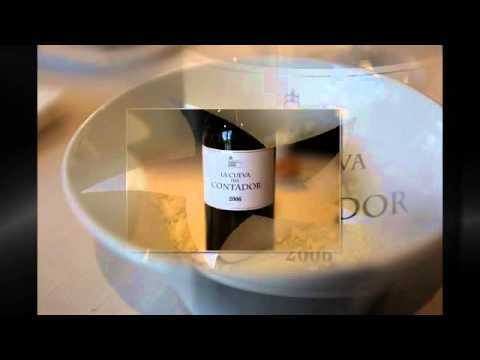 I started working in the dining room, with the first maître d, who was actually Andoni's wife. It was a weekend job, but little by little I realized that I liked studying and being in college, but the Mugaritz project seduced me in a way. So I stayed and turned it into my way of life. What about the restaurant pulled you in? It's a project that has involved lots of people over the years. It's been a collective endeavor. I'm especially fond of Andoni. He's a leader that you want to follow and work with. He knows a lot, he teaches a lot, and I can say his approach has had an impact on everyone who has walked through these doors. We like to say that this is a team effort, since everybody contributes in their own way to making the restaurant what it is. For most of us, it's not a job. It's our life. 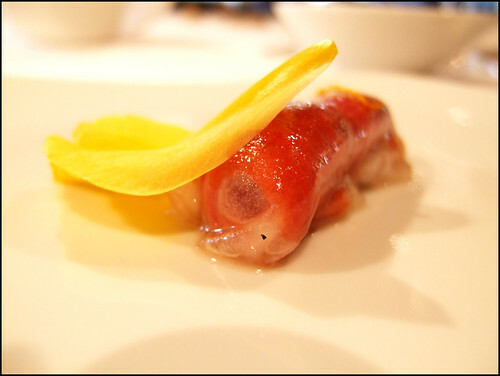 Tell me about what Mugaritz was like eleven years ago, and how it's changed. The most important thing, I think, is that we've stuck to our guns and followed the same principles since the beginning. But I think back in 2001, we weren't as understood or embraced in this area. The cooking here tries to be revolutionary, and even though this arae is known for its gastronomy, Mugaritz tries to be a little transgressive and risky, which at the beginning wasn't easy. In other words, I remember a Mugaritz where we were working like hell and no one was in the dining room. The evolution has been amazing. People have embraced the restaurant more and more. We haven't changed much — we've progressed, obviously — but we've always operated with the same foundation. When did things start getting busier? I think 2008 was a really important inflection point. People started seeking out this type of restaurant more, I believe. Have you worked at any other restaurants? Would you like to? I've only been at Mugaritz, but I've spent a bit of time at places like El Celler de Can Roca and elBulli, which have been refreshing. It helps that we close for several months a year, since the team can travel and experience how other restaurants do things. You bring up the risky cooking Andoni does. How do you handle customers who may be skeptical of that, or who are not fully enjoying the experience? I could tell you that it doesn't really happen, but honestly, it does. Still. There are guests who come looking for another type of cuisine. What we try to do is explain where we are coming from and what this restaurant is about — who do we source from, what's behind these preparations, who are the people that are involved with this. I know the name of the person that brings us milk, the person who brings us carrots, and that's important to us. It's sad to see someone not enjoying the experience. If we see that, we try and come up with other options so that they can be happy. We can't really do traditional cooking, but we'll look at the products we have available and do the best we can to fix something up that will make things better for them. Not really. For a restaurant like this, with degustation menus, it's hard to get people to come in very, very often. I'd say that what qualifies as a regular is maybe four visits a year. Who are the people that come four times a year? They're usually gourmands or people that travel a lot for work. They tend to have lots of experiences eating at restaurants around the world. It's really useful for us to engage with those people, since their insights are great. You could obviously say Mugaritz is about food, but it's also sensorial — it changes from season to season, with the weather. You could come here in the winter and eat only inside, and then come back in the summer and have part of your menu in the patio and another in the guest house adjacent the restaurant. The smells of the restaurant change from season to season. People who come here more than once experience that and value that. I think a lot of people have the perception that a restaurant like Mugaritz is all about technique and showmanship and doesn't emphasize products, purveyors, the natural. Would you agree with that? That's really interesting. I'd agree. You see it when certain clients sit down. You know when you have someone who comes in expecting mostly fireworks, tricks, and technique. They come a little bit skeptical, not ready to give themselves up to the experience. But once you start talking to them and explaining what we do, you notice that they notice what you're about. I think that the vast majority of people who come in with skepticism come out with a different view of what we do. They find it soulful. They'll go into the kitchen and ask the chefs questions about what's behind the process. Of course, I'll say that people who just want a more traditional style of cooking can still come out slightly disappointed. What are some of the strangest requests you've gotten from customers? Recently, we had a very famous person come in, and we served him one of our most famous dishes, the rocks that are actually potatoes — the edible potatoes. He was a bit apprehensive, and when we explained that you had to play the game a little bit and he realized that they were actually potatoes, he asked for ketchup. We couldn't oblige. Are there any other requests you haven't been able to accommodate? Oh, I have a great one: once a couple came in for dinner and asked for a table with an ocean view. We don't have an ocean view. We're in the countryside. So they actually got to the restaurant and asked there? It wasn't by phone? Yeah, when they got here. I don't think they had any idea where they were. It was nighttime, though, and it's hard to get here if you're not familiar with the area. We offered to put an iPad on the table with a picture of the ocean on it. Finally, I want to ask you how you make people feel at home right away. Speaking from my experiences, you can often feel nervous or jittery going to a restaurant you've been looking forward to trying for a while. You've probably traveled, jumped through a lot of hoops to get a reservation, and read about the place tons of times. To tell you the truth, we don't treat customers like customers. The most important thing is how you treat someone and make them feel. I think we manage to calm people down and break that barrier between customer and client very quickly. You have to make them feel like friends, you have to make them feel close. We don't like to say we have customers or diners — we have accomplices in this crazy, wonderful project. They're part of this experience that will last five or six hours. You have to be natural. We don't have a dress code, for example, because we want people to feel comfortable. You have to break the barrier, like I said. Another way we do that is by having a menu where the beginning portions are eaten with your hands. You can do that at home, but not always at a restaurant. The goal is to get people to a point where they stop feeling like they're at a restaurant. They're in someone's home, having fun. It can be rather overwhelming to plan out where to eat in San Sebastian, Spain, one of the world's great cities for food. But there are some restaurants around town that will never fail you. The area boasts restaurants raging from high-end gastronomic idea factories (Mugaritz), three-star Michelin landmarks (Martín Berasategui), family-owned kitchens with world-class wine lists (Rekondo), subterranean sleepers (Ibai), and restaurants a drive away that are more than worth the trek (Elkano, Asador Etxebarri). There are, of course, the pintxo bars, of which there are almost too many to recommend, among them the whacky (Zeruko), the crowd-pleasing (La Cuchara de San Telmo), and the steak-centric (Nestor). Here, now, a guide to thirteen of the best places to eat in San Sebastian, Spain. In recent years, chefs around the world have founded dedicated test kitchens as venues in which to create freely — without the pressures of a normal, working kitchen — and feed their restaurants new dishes, ideas, and techniques. Some of these projects delve into scientific, technological, and academic research (Momofuku, Mugaritz, Moto), while others stick to developing menus and working on food (Relae, ThinkFoodTank). For the most part, these are small kitchens that don't serve diners or independently produce much or any profit. The test kitchens of today owe much to Ferran Adrià, who would close his restaurant for half of the year, head to Barcelona, and work in a small space to develop an entirely new menu for the following season. It is, as NYU professor Anne McBride describes it, about "separating the creative process from the productive one." And with a good number of food labs or test kitchens popping up in the last three years, is this something many more restaurants will be adopting? According to McBride, the level of resources needed for these operations is simply too high for most chefs and restaurants." However, she believes "that even without having defined test kitchens, the idea of allowing more space (physical and mental) to the creative process, will trickle down. I think that diners and the profession can only benefit from this push in creativity." Here are ten, but stay tuned for a new regular Eater feature highlighting these and more test kitchens around the globe. Andoni Luis Aduriz set up Mugaritz in 1998 after working at El Bulli from 1993 to 1994 and from 1996 as chef at Martin Berasategui. 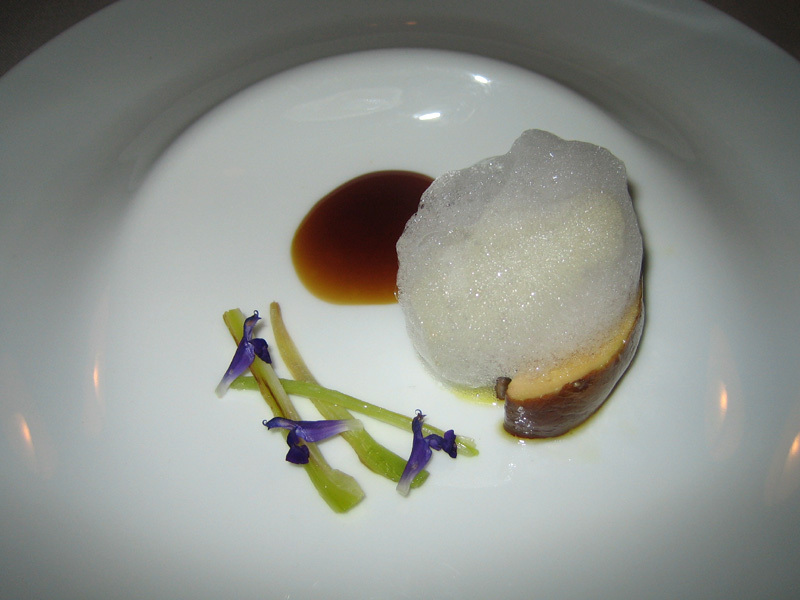 Mugaritz gained a second Michelin star in 2005. Mr Aduriz is acknowledged as being at the forefront of the creative cuisine that Spain has become known for; not bad for someone who failed his first year at catering college. Mugaritz is in the hills a few miles from San Sebastian (about twenty minutes by car). After a major fire in 2010 it was completely rebuilt, with an attractive garden and spacious dining room. There is no menu here, but the restaurant ask you in advance of any dietary preferences before preparing a lengthy series of small courses from their famously wide repertoire of dishes, the meal priced at €170 (£137). The dining room has widely spaced tables, seating up to 50 people at any one time, the room divided up into sections by little screens. No less than 35 chefs work in the kitchen to prepare the complex dishes. The wine list had a quite wide range, with plenty of fine Spanish wines but also, for example, some good German Rieslings. Belondrade Y Lurton Quinta Apolonia Blanco Joven Castilla Leon 2009 was priced at €42 for a wine that you can find in a shop for €19, Fritz Haag Juffer Sonnenuhr Riesling Spatlese Brauneberger Bereich Bernkasteler 2008 €70 for a wine that retails at around €24, and Vega Sicilia Tinto Valbuena 5 Ano was €320 for a wine that will set you back about €95 in a shop. We drank Jermann vintage Tunina at €90 for a wine that retails at around €48. The meal began with an envelope placed on the table sealed with wax; inside was a thin card with the message "bread and olives"; the card turns out to be an edible cracker, olive paste is provided on the side. This was a foretaste of the very technical food in which Mugaritz specialises. A single strand of spinach was served warm and dusted with a powder made with chrysanthemum flowers, which had little inherent flavour. Harmless enough, but this was in the end just a little piece of spinach. 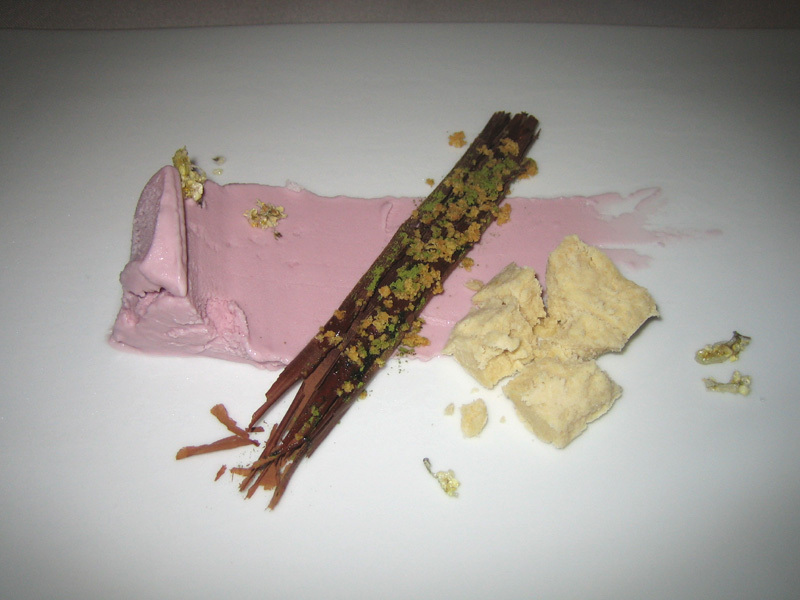 Sea anenome mousse was encased in a cigar-shaped savoury tuile and served in a box of sand. 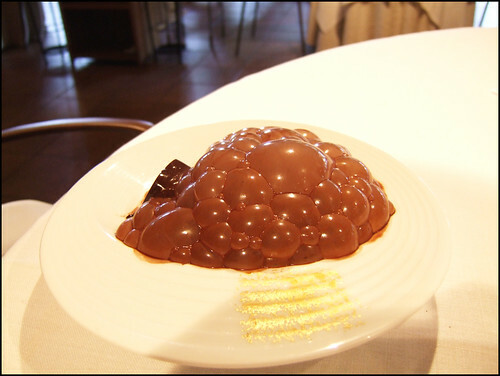 This was not unpleasant, and was doubtless a good example of sea anenome mousse. This was followed by bone marrow on toast, which I know some people love but does nothing for me. "Grapes" with dried tuna turned out to be warm melon, topped with hard pieces of dried tuna and spiced seeds; I didn't find this an enjoyable combination. Noodles of milk skin were wrapped in lard and served with an emulsion of tomatoes and pumpkin. The "noodles" were hard in texture, the emulsion not having a lot of flavour. Baby squid with lemon had distinctly chewy squid, which was hard to forgive in a part of the world with very fine squid, and indeed where I had eaten superb squid at lunch on the very same day at Ibai. It may be hard to benchmark sea anemone mouse, but it is easy to tell good from mediocre squid. "Cheese" with mushrooms turned out to be a concoction of mail and flax seeds that resembles cheese, served with a few warm ceps; this was pleasant enough, but not as enjoyable as, say, an actual goat cheese. Hake with cauliflower and marscapone cheese was the best dish of the meal to this point, the hake capably cooked, the powder of cauliflower pleasant, but this for me was still merely pleasant, perhaps 5/10 level cooking. Better was sargo, a fish a little like sea bream served with deep fried pasta; the fish was carefully cooked, well seasoned and the crunchy pasta with it provided an interesting texture contrast (7/10). The next stage involved some audience participation: a pestle and mortar was provided, with the diners asked to grind some pepper seeds. Then a few pieces of cod and a broth of vegetable stock and sunflower seeds was provided to be added in order to make a soup. The broth had an unfortunate grey appearance and little flavour, and the overall effect was distinctly unappetizing, the kind of thing that someone might serve at a school canteen (0/10). Better was veal with honey and meat powder, the veal nicely cooked, the meat powder giving an additional texture (5/10). Raviolo of aromatic vegetables and herbs, though, had a very bitter taste and the pasta had an odd, chewy texture. My lamb with brain ragout was better, with reasonable quality lamb and a creamy ragout of lamb brains (5/10). Pear ice dream was served with caramelised milk and cheese, a combination of flavours that I did not enjoy. An almond "biscuit" was essentially almond ice cream,and was pleasant enough, though the simple almond ice cream I had at lunch on the same day was better. Milk with lemon and figs was odd; additional lemon juice was provided in a pipette, but the bowl already had far too much lemon in it to be remotely balanced. A leaf with chocolate and a grain of salt had a minty taste, which was fine if hardly exciting. Finally candles of frankincense and perfume of eucalyptus bark had a couple of sticks of chewing gum mint which resembled sherbet on the palate, and were pleasant. The meal concluded with good coffee and chocolate-coated nuts. The service was very good throughout, the staff charming and efficient. The bill came to €489.50 for two, which works out at £193 a head. For all the technical culinary wizardry on display, I cannot say that I enjoyed my meal here very much. With this kind of food I was not expecting to like every course, but there seemed to me far too many misses compared to hits, and the dishes that were enjoyable were merely good rather than dazzling. I freely admit to preferring classical to modernist food, but this seemed to me far less successful than the food at restaurants such as Oud Sluis or Alinea, where inventiveness does not come at the expense of flavour. Moreover I do not think that poor ingredients, such as the chewy squid tonight, are ever acceptable in an expensive restaurant. Mugaritz belongs to the new breed of fine dining restaurants with main focus on molecular gastronomy just like the former El Bulli. No big surprise that the Head Chef Andoni Luis Aduriz apprenticed at El Bulli before he started Mugaritz that today is one of the best restaurants in the Basque country and one of the best in the world as well. Andoni Luis Aduriz likes to tell his guests a story while they dine and it starts already before the restaurant is entered after a nice drive from San Sebastian to the hills of Donostia. You enjoy a glass of cava on the terrace while you are served the first pre-starter of something that looks like beautiful grey stones, but they are in fact boiled potatoes which you eat with some mayonnaise. And already here, before you even have entered the restaurant you understand that the journey you are on for this evening will be something truly amazing. Mugaritz is so much. It really feels like you are dining at a restaurant that is neither 1990 nor 2025. It is that year you eat at the restaurant and it is right now. Andoni Luis Aduriz takes you on a ride where each separate dish tells you something and the story continues to the next dish without any hesitation or abruptions. Your dinner will have a perfect flow and it feels like there are not ten different courses you will have, no, it feels like one course that just changes in flavours during the evening. You can expect everything to be very locally produced, indeed. Vegetables and herbs from the garden of Mugaritz will be on your plate. Some of the pure vegetarian dishes you will have are the very best vegetarian you can have, anywhere. Mugaritz suffered from a severe fire in the spring of 2010, but after a busy renovation the restaurant now has one of the most stellar kitchens in the world and a dream to work in if you are a chef, with top modern equipment and big windows to view the beautiful Basque landscape. Andoni Luis Aduriz teases your mind and serves you food that looks like something, but tastes like something else. It starts already with the first potatoes you are having and ends with the warm artisan tablet with whipped honey and oats that looks like it is soap. It is not that easy to choose one favorite dish when the whole menu is so perfectly matched and is experienced as one long dish divided into ten courses. Like some of the best music albums from Pink Floyd or similar. Not just one hit song – the whole album is a hit. Mugaritz is academic, but in the laid back way you remember the best moments of your time at college when you were sitting with your friends and talking about changing the world. Mugaritz is philosophic, but in a way where you will not be confused, no, you will actually have all the answers. 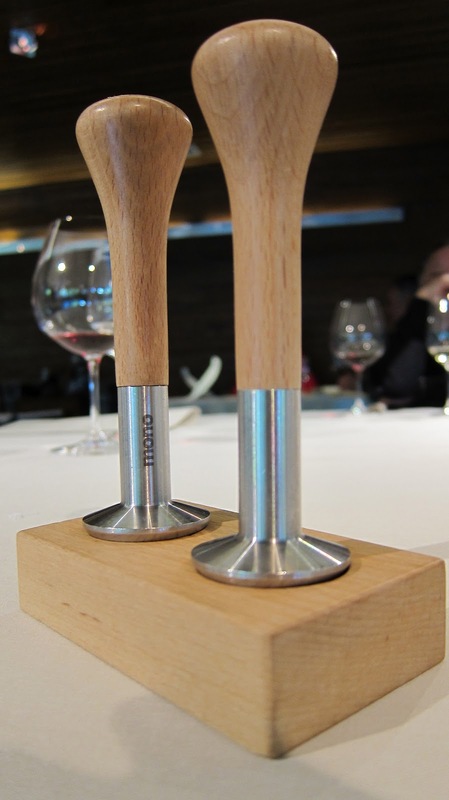 Mugaritz is culinary art, and this time you will think it was worth every penny spent. Mugaritz scored 92 points of 100 points in our rating system. Diners nibbling tapas-y octopus with piquillo peppers at Indie Cafe at Lincoln Center last night might not have noticed that they were sitting near one of Spain's greatest chefs--even if they were there for the screening of "Mugaritz B.S.O." The documentary puts to music the food (and creative world) of Andoni Aduriz, whose "techno-emotional" cooking has made his restaurant in the Basque countryside one of the most sought-after destinations in the world. Aduriz--thinky glasses, casual blazer--was in New York for just over a day to present the film and sign copies of his new book, "Mugaritz: A Natural Science of Cooking," an art book of a project from Phaidon. His first stop the day before, just off the plane, was the ninth birthday party at WD-50. "We were exhausted, but we wanted to be there as an homage to Wylie," the chef said through his translator. "He's a brilliant chef. He doesn't remove intellectual flavors, like bitter. He has absolutely no complex when it comes to using ingredients that, in other cultures, people might not be open to using." So did he taste the Aduriz-inspired egg that Dufresne sometimes serves? He laughed and said, "Our egg inspired him to do a new recipe, but his egg is so different that it inspired me to do something different!" After the film, he would have dinner at Per Se. (Lunch was a chicken parm hero at Parm.) For him, every visit to New York is a culinary inspiration: "I come from a place with very traditional cuisine. I think they've been doing the same thing for 25,000 years! When I come here, I find a museum of the world. Anything that's not a Basque restaurant is appetizing." Asked which chefs he'd like to meet in the U.S., he politely demurred. "When I return home, I punish myself for leaving people out." That said, he would like to try Atera, opened by Mugaritz alum Matthew Lightner, in Tribeca. 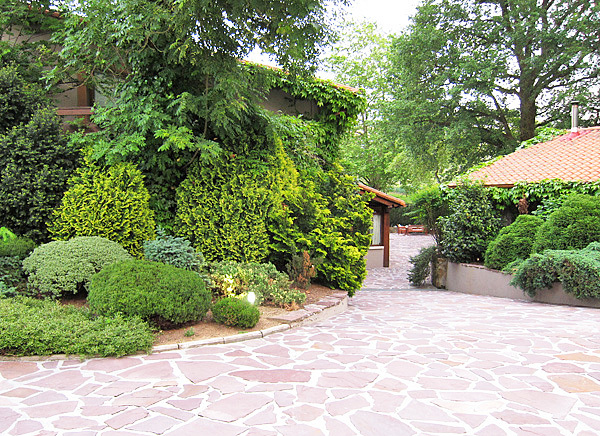 Mugaritz is a pleasant 20 minute drive from San Sebastian. It ranks number three in San Pellegrino's 50 best restaurants in the world list. The feedback on Mugaritz is radical, some people love it and others hate it. I wanted to see what all the fuss was about. So on a lovely Sunday in June, I found myself drinking a glass of Cava in their reception room, anxiously anticipating what awaited me. Their principle is to shatter all pre-conceived notions that we have on food. Sounds loopy? Maybe. But I approach food with an total abandon and my motto is, if it doesn't kill me, bring it on! I think our lunch had 22 courses and the names of some courses were very strange. I'll do my best to translate and describe as much as I can remember but I hope the photos will speak for themselves. This book was displayed in their reception cottage. A clue of what to expect? They gave us a "letter" as soon as we sat down. Then we were instructed to eat it. It's similar to a communion wafer, that's the only way I can describe it. The olive spread was for the letter. While we were amusingly chomping on it, they asked us about our allergies or dietary restrictions. My parents don't eat lamb so that course of their menu was changed. They also told us that if there was anything we didn't like, to tell them and that they would take it back and replace it with something else! The next course was edible stones. I guess I was so excited because I can't find a photo of it. This was the dip we dipped it in. It literally looks like a stone. When you bite into it, it's actually a small potato. This is called "fishbones" with nuances of lemon, garlic, and cayenne pepper. Marine chords of a crispy woodwind. Flax and wheat "Kraft" paper with roe and spider crab buttons. This one is called "A sequence of wild and cultivated herbs with pickled vegetables and creamy dressing." Tagliatelle of concentrated milk lightly soaked in a silky juice of roasted squash and tomato. Cured cheese, in it's own rind, mushrooms and coastal herbs. Artichoke and Iberian ham "tatin" with Clam Chantilly. At this point we were invited to visit the kitchen. We were offered macaroons that looked like chocolate. It was sweet and salty. We were asked to guess what it was. Turns out it was made from pig's blood. I suppose some guests get shocked but we're Filipino, and we have a dish called "dinoguan" made from pigs blood which we eat with Puto, a sweetish bread so this we were like "ohhh! nice!" I think it wasn't the reaction they expected! We got back to the table and the food continued to arrive. This was called Stew of lemon rinds and grilled squid. I know that everyone is seated at different times and that everyone is invited to the kitchen at different intervals. However when these things arrived, it seemed to happen simultaneously. Now we were made to work, and told to grind these seeds. It produced the most amazing sound, like a chime, which echoed all over the dining room because everyone was doing it. Quite wonderful actually. Maybe it was the wine but I was heady with happiness at this point. My sister working on her bowl. Then we were supposed to mix this with what we ground. Then they poured some sort of broth. Then our final savory course, Crunchy terrine of Iberian pig tails with a bunch of bitter leaves and Txakoli sediments. I remember this, and it was magnificent. Desserts started to come. This was called Light dices of sculpted apple with figs. Crunchy dark chocolate and mint. "Forgotten memory from childhood." Small bite of milky wafer with lemon ice cream. Candies of frankincense. The perfume of eucalyptus barks. After this truly theatrical experience we were taken outside for tea and coffee. I forgot what this was. The verdict? Absolutely heavenly! Yes, I can't eat like this everyday. But I realized sometimes food isn't just about satiating hunger. Mugartiz elevates it into an art form. Food as theater. Food as performance art. It's a once in a lifetime experience. I highly recommend it. But you must surrender to the experience, resisting will only make it a waste of time. The funny thing about cooking in summer is that you don’t really want to — nor do you really have to, unless you consider slicing tomatoes and flipping burgers a chore. And yet, as long as our friends keep migrating into our backyards, the summer cookbooks keep coming. 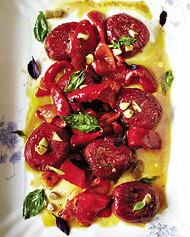 Roasted tomatoes and peppers, from "A Girl and Her Pig." 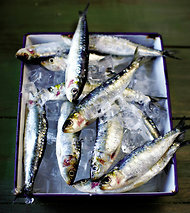 Fresh sardines ready for marinating, from "A Girl and Her Pig." If you’re in the 1 percent of professional chefs (or the competitive home cooks who plunked down $625 for Nathan Myhrvold’s “Modernist Cuisine” last year), you’re most excited about the arrival of MUGARITZ: A Natural Science of Cooking (Phaidon, $49.95), by Andoni Luis Aduriz. This stone-cold-gorgeous art book happens to have some recipes, and they’re impossible for the 99 percent. But wow. At Aduriz’s restaurant, Mugaritz, the former El Bulli cook has distilled what John Lanchester, in his introduction, calls the “thisness and hereness” of Aduriz’s rural Basque surroundings into subtle yet technically rigorous food. If you can source the ingredients for mouse melon soup with tomato water and leafy goosefoot, go nuts. These recipes feel more like what Bloomfield makes on her day off, rather than a collection of her greatest hits. (Yes, her gnudi are here, though she admits that “it’s been seven years of sheer hell making these little things.” After spending the three-plus days required, you’ll commiserate.) Bloomfield’s style is about robust flavors and a sneakily sensual combination of textures, whether it’s a salad of pig’s ears fried in duck fat with a bracing lemon-caper dressing or one of carrots roasted in spice paste and tossed with creamy avocados and tart oranges. A time-consuming lamb curry, simmered for hours in pineapple juice, made me so proud I’m now game to tackle her cassoulet. This woman has accomplished a lot in her 38 years. Over in France and through the looking glass, Alain Passard, the chef at L’Arpège, has seen it all. Because he avoids haute technology and has a romantic attachment to the vegetables he grows on his own farms, he fell out of fashion during the modern gastronomy movement. But now young chefs everywhere are realizing that he’s the godfather of the future. Every morning, Passard’s heirloom légumes board the TGV to Paris, where his Michelin-starred restaurant makes them the focus of his wildly expensive tasting menus. Passard’s ART OF COOKING WITH VEGETABLES (Frances Lincoln / Publishers Group West, $29.95), which has just been translated into English, is a strange, magical book. The flavor combinations are avant-garde: asparagus with pear and red sorrel; peaches with lemon and saffron; peas and pink grapefruit with white almonds; red beetroot with lavender and crushed blackberries. Instructions are ­simple and brief, as if he’s speaking to one of his cooks. As for what the finished dish should look like, you’ll have to use your imagination, since the recipes are illustrated solely by Passard’s own Colorform-ish collages. Like his food, they play with texture, color, shape and abstract representation; by necessity, they’re deliciously open to interpretation and improvisation. You probably can’t get “new pink-tinged garlic, preferably from Lautrec” or “Noir de Crimée” tomatoes, but you can get their generic equivalents, so move ahead. If you’re open to it, cooking from this book will change you. Quietly and surely. On the bourgeois end of the French spectrum is LA TARTINE GOURMANDE: Recipes for an Inspired Life (Roost Books, $35). Béatrice Peltre, a self-taught French-born cook and amateur photographer, began blogging about the meals she made when she moved to the United States. Her food and photographs are appealing: fresh and lovely, with a distinct French accent. There’s a chapter on “Casual Lunches With Friends” that includes the recipe for a clafoutis of caramelized cherry tomatoes, zucchini and goat cheese; another, on “Sophisticated and Elegant Dinners,” has a saffron-flavored crab-and-watercress soufflé. And there are plenty of tarts, tartlets, tartines, quiches and things layered in glasses, a pet of French women’s magazines like Elle à Table. The whole package has a pretty, casually aspirational elegance — like eating an Anthropologie store. The baking section is perhaps the most interesting, thanks to its reliance on alternative flours. After investing in quinoa, rice, buckwheat and hazelnut flours, I made banana, chocolate and hazelnut muffins; brown-butter pistachio and poppy-seed financiers; and pretty Pink Lady apple tartlets. Delicious surprises all. Many of this summer’s books are single-subject: fish, fruit, pizza, ice pops. There’s even a bacon e-book from the butchers at the Meat Hook in Brooklyn. Mona Talbott’s ZUPPE: Soups From the Kitchen of the American Academy in Rome (The Little Bookroom, $18.95) is smaller than a salad plate, but filled with 50 delicious, simple recipes. When Talbott was asked by her former boss, Alice Waters, to cook for the artists and scholars at the academy on a micro budget, the chef was probably too entranced by the thought of Rome to think that bit through. And so she learned to fill up a crowd with graceful thrift, starting with pots of soup. The recipes are classic Italian, but with her own flair: purée half of the carrots in a lentil and carrot soup for body and color; infuse olive oil with chili flakes and drizzle over a hearty potato and chickpea soup; blitz some unexpected parsley along with the usual mint, and stir into a pea purée. The deliciousness-to-cheapness ratio of Talbott’s recipes will give you a thrill. Speaking of single-subject resourcefulness, Jim Lahey changed the way America baked bread with his no-knead dough recipe. (Or, rather, he got us baking bread in the first place.) Now the owner of Co. pizzeria and the Sullivan Street Bakery follows up with MY PIZZA: The Easy No-Knead Way to Make Spectacular Pizza at Home (Clarkson Potter, $27.50), written with Rick Flaste. It’s not going to set the home-cooking world on fire in quite the same way, but it will inspire pizza nights from coast to coast. The instructions for the master dough and shaping take only a few pages. I wish Lahey had included more on incorporating flours other than all-purpose — 00 flour is a crust’s crispiest friend — and had taken the time to really explain how to shape the comically elastic dough. (You’ll get it after the 20th try.) But his toppings are so creative and delicious you won’t care if your pizzas are shaped like Texas. Sure there are recipes for pies with basic tomato sauce and pepperoni (actually homemade merguez), but there’s also a rich flambé pizza with béchamel, foolproof lardons and caramelized onions; another with brussels sprouts and chestnuts sprinkled with celery salt; even a corn and tomato pie, should you care to crank your oven to 500 degrees before October. How the British writer/farmer/TV personality/sustainable food advocate Hugh Fearnley-Whittingstall had the time to research a thorough, thoughtful, 608-page guide to finding and eating “good” fish is a head-scratcher. For THE RIVER COTTAGE FISH BOOK: The Definitive Guide to Sourcing and Cooking Sustainable Fish and Shellfish (Ten Speed Press, $45), at least he had a partner: the journalist and “leading fish authority” Nick Fisher. It’s a glum time to be a fish lover (you may as well enjoy it while you can). But, the authors say, you can still buy responsibly and cook well. After walking readers through the dire state of the seas and telling them how to shop intelligently, they detail the skills of fishery, from killing, bleeding and gutting to filleting and storing. And then you’re into the “cookery”: lots of very pleasant, not terribly complicated ways to prepare varieties of fish that may not yet be your favorites. Cod, salmon and tuna don’t get much airtime here, but sardines, mackerel and pollock become deeply likable when you roast them on potatoes and bay leaves, simmer them for hours in a Japanese-­inspired sauce, add them to an easy soup with chorizo and potatoes or — less sustainably for the eater — cream them into half a pound of butter and “pot” them. Even conger eel becomes tempting in their hands. A large chunk of the book is given to “profiles” of their favorite fish, which they hope will prove to be biographies rather than obituaries. What’s with those hyperproductive yet humble British? Just a year ago, American readers were presented with “Tender,” Nigel Slater’s personal recipedia of all the vegetables he’d planted in his London backyard. Luckily there was room for bushes and trees, because it allowed Slater to compose RIPE: A Cook in the Orchard (Ten Speed Press, $40). Like “Tender,” “Ripe” is an alphabetical guide in which the recipes for each fruit are preceded by gardening advice, as well as lists of tasty kitchen combinations — apricots play nicely with pistachios, lamb, brandy and so on. The book also features the Slater trademark of coolly poetic color photographs printed on the same matte paper as the recipes, a style that has given rise to many American imitations. The recipes reflect his modest ambitions to be well and comfortably fed, to embrace butter and cream, to make tarts that are “warm, crumbly, messy and sweet,” and to chat readers through it all. Even the recipes have soothing, writerly names like “Creamy Cheesecake, Sharp Sauce” and “A Deeply Appley Apple Crumble.” (Leave it to Slater to muse on “the undercrust,” his word for “that damp, almost magical place where crumble meets fruit.”) There are savory bits too: pork, wouldn’t you know, is ­delicious with everything. One of the most attitudinal cookbooks to come out in the States since, well, forever is THE HUMPHRY SLOCOMBE ICE CREAM BOOK (Chronicle Books, paper, $19.95), by Jake Godby, Sean Vahey and Paolo Lucchesi. Their San Francisco ice cream shop isn’t for kids. Not with flavors like Secret Breakfast (bourbon and cornflake cookies), Here’s Your Damn Chocolate Ice Cream and Jesus Juice (a sorbet of cola, red wine and vinegar). No, these are scoops that get people like Ira Glass and Ferran Adrià to blurb your book. Adrià isn’t wrong in writing that Humphry Slocombe is his “little child, in a way.” Though the recipes are based on a straightforward, marvelously creamy custard, the flavors tend toward the Adrià-tic. After years of getting my ice cream recipes from the brilliant Claudia Fleming, it was fun to try oddball combos like Chocolate Smoked Salt and Harvey Milk and Honey (if you don’t know who he was, “please close this book and kindly return it,” the authors request). Even an almost staid flavor like Pepper and Mint Chip taught me new tricks: stir melted chocolate into the just-finished frozen base; it will harden into lacy shards. While others churn vanilla and strawberry this summer, I’m working toward Elvis (the Fat Years). Vegan? In your fat years? Cool off with PEOPLE’S POPS: 55 Recipes for Ice Pops, Shave Ice, and Boozy Pops From Brooklyn’s Coolest Pop Shop (Ten Speed Press, $16.99). A few summers ago, Nathalie Jordi, David Carrell and Joel Horowitz paused their media careers to make hipster popsicles (local, seasonal, adorable), selling them at the inspiring new food markets popping up in Brooklyn and Manhattan. You can try them at home: blackberry-rose, apricot-lavender, fig jam and yogurt, peach and bourbon. All you need is an ice-pop mold and sticks, a food processor and some simple syrup, and your summer will thank you. Of the season’s grilling books, Adam Perry Lang’s CHARRED & SCRUFFED: Bold New Techniques for Explosive Flavor On and Off the Grill (Artisan, paper, $24.95), written with Peter Kaminsky, is the most interesting — and the most challenging. If you know a person ready to get his — or, hello, her — Ph.D. in grilling, this will blow his (or her) already expanded mind. The rest of us will think it’s trying too hard to come up with new things to do to a perfectly nice piece of meat. My husband tackled the clinched-and-planked chicken legs, though I made the basic brine, the “four seasons” spice blend, the two-part baste required to get those legs on the soaked cedar planks, plus the board dressing for when they came off. As for the finishing salt, he’d given up by then, since the planks had caught fire. We did enjoy the insanity that was scruffed carbonara potatoes, though it was disorienting when this dude-friendly writer suddenly had me clarifying butter and making a sabayon. Christine Muhlke is the executive editor of Bon Appétit. In the wake of El Bulli’s closure, could Mugaritz be the new keeper of Spain’s flame? Chef Andoni Luis Aduriz talks with Lisa Abend about terroir, creativity and new challenges. There is no phoenix in the Basque mythology, no firebird rising from its own ashes. The Basques do have a god named Sugaar, a serpent-like deity responsible for storms, who occasionally takes the form of a burning sickle. You have to wonder if, in the early hours of the morning of 15 February 2010, Andoni Luis Aduriz was thinking of him. Because to understand the chef of Mugaritz, to truly get who he is today, you have to start with the fire. It’s quite tempting to use that word metaphorically, to explain how – long before Aduriz’s restaurant Mugaritz in Spain’s Basque country came to be considered one of the very best in the world – he was drawn to the stove as a means of expression. Or to describe the flame of passion ignited when he first encountered the radical creativity of his mentor, Ferran Adrià. But in truth, the really important fire – the one that remade his professional life and personal outlook, that helped him take his restaurant to number three on the World’s 50 Best Restaurants list, and that led him to write a book titled Mugaritz, a retrospective of the 41-year-old’s already remarkable career – couldn’t be more literal. That fire occurred two and a half years ago, and burnt his kitchen nearly to the ground. Seated on Mugaritz’s patio at sunset, as waiters bring snacks they gently challenge you to identify, it’s hard to believe that something violent could ever have taken place here. Mugaritz, some 30 minutes outside San Sebastián, is tucked into an especially verdant corner of Spain’s green countryside, amid apple trees and oaks. It is one of the quintessential landscapes – the other is the rolling coastline – that Basques imbue with near-mystical sentiment. 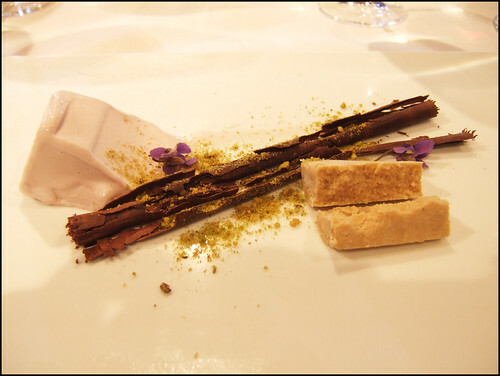 It’s not hard to see reflections of that scenery in Aduriz’s plates; some of his most striking dishes, such as a herb-strewn fish soup that resembles a pond dotted with fallen leaves, or scored and charred white asparagus spears that look like logs fallen in a forest, are composed meditations on landscape. And the chef himself, who, in his spare time, prepares dinners for stagings of Shakespeare’s bloody tragedy Titus Andronicus and engages linguists to help measure his diners’ pleasure, often speaks in terms of intuition and communion. Which helps explain why the Spanish press, in particular, like to portray him, with his boyish face and his intellectual demeanour, as a monk. He is not a monk (in fact, he is married, with a two-year-old son). But throughout Aduriz’s career, from his first job in a San Sebastián pizzeria, through stages in most of the Basque country’s heavyweight kitchens – Zuberoa, Akelarre, Arzak – through his transformative years at Ferran Adrià’s El Bulli and beyond, to a stint at the helm of Martin Berasategui’s Lasarte, he has brought to the task of cooking an intensity so sharp and inward-looking as to strike many as religious. Yet it wasn’t until 1998, when he and his business partner Bixente Arrieta finally opened their own place in an oak grove on the hilly border between Astigarraga and Errentaria, that his intensity found a focus. In its early days, Mugaritz had no customers, and Aduriz remembers standing around with the rest of his staff, waiting for the phone to ring. In the meantime, he stared out at the countryside. “It was a green that could only be described as total, categorically and undeniably green,” he writes in his new book. He goes on to describe how eventually, with enough staring and meditation and simple osmosis, that total, inscrutable green eventually resolved, like a photograph coming into focus, into a field of trees and grass and herbs, of plants edible and not, that would provide the essence of Mugaritz’s identity. There is perhaps no greater example of that camouflage than the chef’s now-classic potato stones. They look, well, like stones, grey and minerally and lightly smoothed by an unseen river. They are the size of walnuts, and just as solid, which is why it takes more than a little trust to bite into what looks to be a tooth-shattering exterior. But inside, they reveal themselves to be nothing more than lightly sweet, boiled potatoes; a dip in kaolin gives them their remarkable exterior. And then, at 2am on 15 February 2010, a wire at Mugaritz short-circuited. Within minutes, the entire kitchen was destroyed. The refrigerators were rendered useless, the stovetop melted, an entire wall was reduced to ash. “My first impression,” Aduriz recalls, “was despair. I didn’t know if I’d be able to go on.” By morning, the news had made the national press, and by the end of that day, condolences, offers of assistance, and even donations were pouring in from around the world. Aduriz closed the restaurant, and, after a brief period of time spent grappling with the funk brought on by so much loss, moved into action. Four months later, Mugaritz reopened. Aduriz is also giving freer range to his markedly whimsical sense of humour. This, after all, is a man who puts on a panda head costume when it comes time to think creatively. “People always think he is so serious, because of his philosophical side,” says Per-Anders Jörgensen, the photographer who shot the portraits and landscapes in Mugaritz. “But he’s extremely funny, extremely playful. His creative team is like the Monty Python of cooking.” Indeed, one of Aduriz’s favourite dishes from last year, included in the cookbook, comes to the table as a tangle of dry, almost hay-like strands dotted with flowers. The threads are chewy, with a deep umami character, but you’d never guess they were made from beef tongue. Never, that is, until your server tells you the dish’s name: Shhhhhh… cat got your tongue. “I almost feel like it’s my responsibility now,” Aduriz says. “Because there aren’t as many people doing this kind of creativity.” And it’s true: a “cheese” made from soaked linseeds that comes to the table looking for all the world like a wheel of St Marcellin; thin slices of foie gras “cured” with kaolin so their texture changes to that of high-fat butter; a sheet of “paper” made, apparently, of nothing more than the best apples and cardamom. And although Aduriz says he no longer feels the same pressure as before to make all his dishes delicious, the truth is that they all are. Mugaritz: A Natural Science of Cooking by Andoni Luis Aduriz is published by Phaidon, $69.95. This article was published in the September 2012 issue of Australian Gourmet Traveller. El Bulli is gone, but the highly technical form of avant-garde cuisine it spawned is not, at least not in Spain. In his dedication to constant reinvention, Aduriz may be Adrià’s clearest heir, but a number of other chefs in Spain can also rightly lay claim to the throne. Currently number two on the World’s 50 Best Restaurants list, El Celler de Can Roca is conceivably the most beautiful restaurant in the world. Brothers Joan (executive chef) and Jordi (desserts; middle brother Josep is sommelier) both put in time at El Bulli, which helps explain a tasting-only menu that consists of a long array of dazzlements. Dinner might begin, for example, with an array of savoury “bonbons”, each encapsulating the flavours of a different country, and end with Jordi’s chocolate-inflected take on how it feels to be Lionel Messi at the moment when he scores a goal (complete with screaming fans). 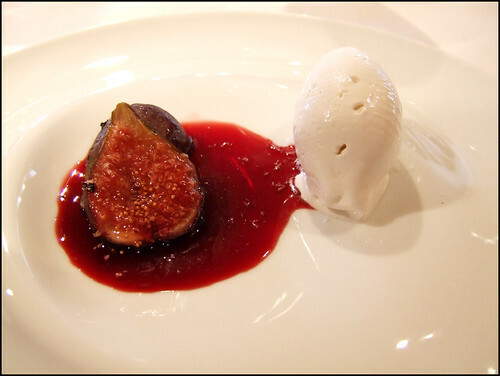 At his eponymous restaurant on the eastern coast of Spain, Quique Dacosta employs a lot of the El Bulli wizardry in his techniques, but his style – intense and passionate to Aduriz’s whimsical and philosophical – remains his own, even while it evolves. After years of baroque constructions and arch landscapes, his plates are now simpler and purer. The 40-plus dishes that make up his Mediterranean Flavor menu run from a “cocktail” called Mary that looks like a slice of ripe tomato but tastes of Bloody Mary, through seven different takes on pigeon, to a dessert that looks exactly like its name, Cherry Tree in Bloom, but are all artistic distillations of place. With a stylish interior and open views onto a long stretch of sand and the Mediterranean, Calima is gorgeous enough that it doesn’t have to be good. But chef Dani García is way better than good. In dishes such as his gazpacho – in which he turns a liquid gazpacho into a whole tomato, shimmery as a ruby – he shows off his technical wizardry. But in his focus on the physical and cultural landscape of Andalusia – a festive beach-side barbecue turned into a dish, complete with smoke; the multicoloured bottom of the sea brought to the table in a fish bowl – he reveals himself to be a poet as well. In 2011 the Guggenheim Museum carved out a new spot for Josean Martínez Alija in Frank Gehry’s titanium creation – as good a sign as any of the respect with which the 32-year-old, who had run the museum’s previous restaurant since its opening, is regarded. Martínez Alija’s cooking looks like stark minimalism on the plate, but he harnesses an array of innovative techniques, such as “cooking” vegetables in quicklime, to play with texture and play up the flavours of his impeccably sourced produce. After wowing Madrid in his first and only year at Senzone, Morales pulled up stakes for the Hotel Ferrero, an elegantly modern hotel in the remote town of Bocairent, about an hour south-west of Valencia. Here, he gives full rein to a style influenced by both an El Bulli-esque embrace of the gizmo and Mugaritz’s naturalistic emphasis. Completely his own, however, are the deeply layered flavours, and a profound interest in deliciousness. Witness one of his star dishes: a heap of tiny pearls of squid-ink “caviar” infused with a rich Ibérico broth and draped in translucent lardo. Atxa is at once Spain’s most ecologically minded chef, and one of its most molecular. He has recently redesigned his restaurant, located among organic vineyards on a hillside not far from Bilbao, to increase both its energy efficiency and its appeal, and, in a trend old elsewhere but still fairly new in Spain, is growing many of his own products. But that doesn’t stop him from reverse-engineering an egg, so its lusciously runny interior is replaced by black truffle, or spilling an algae-derived “seawater” over the dry ice that surrounds an oyster, so that the aroma of the ocean, as well as smoke, enrobes the table.